Smart meters are being installed across the United States. But are they smart, healthy, or even helpful? Many states have adopted laws to mandate smart grid technology, including smart meters, by a certain year. The U.S. government is footing the bill, so utility companies are eager to deploy smart meters. However, the meters have been found to malfunction, causing home damage and fire, and expel dangerous EMF radiation into your home. Let’s learn about how you can combat that. There are a three main types of utility meters: analog, AMR, and AMI. Analog meters have been used for a hundred years, and do not emit EMFs. AMR meters send information to an utility truck driving by. AMR’s still emit EMFs and messages all the time, even though a truck is not always driving by. These are nearly as dangerous as traditional smart meters. AMI meters, or smart meters, communicate back and forth from your meter to utility companies. The utility company can shut off your energy, or shut off a particular appliance. This video breaks down an EMF reading of each type of smart meter. Utility companies will tell you that there have been no fires from these meters, but that’s not the truth. There have been hundreds of fires at homes including fatalities and even a simultaneous explosion in California of hundreds of meters. This is extra dangerous because there are no smoke detectors outside of the home like there are inside, and homeowners may not be aware. See a listing of home fires caused by smart meters here. Utility companies will tell you there is the same risk of EMFs and radiation when using your cell phone as smart meters produce. It is true that cell phones produce EMFs, but not true that it is the same amount. Independent testers have seen that smart meters emit higher EMFs than even microwaves, and cell phones. When they transmit, smart meters have been found to have double the EMFs than cell phones that are in use, not just on. 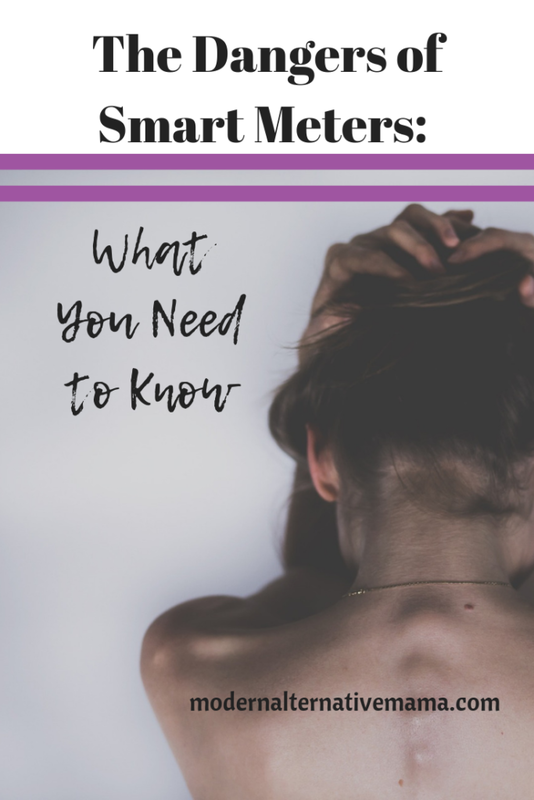 Smart meters are supposed to emit information once a day, but most customers have found they send information from every other second up to twenty times per second. These peaks are not measured, and greatly increase the EMFs released. Your cell phone does not do this, but it stays at a constant level, and it can be turned off. Consider that strobe lights are not allowed to be sold unless they are less than 10 pulses per minute, because over this, health effects arise. Those with seizures cannot handle even lower amounts. This is a problem because EMF radiation has been found to cause everything from headaches to sleep issues to cancer. This study even found a correlation between EMF radiation in mothers and the higher likelihood of their children to have autism. Dirty electricity is emitted from nearly every wire and home appliance today. Dirty electricity is anything with frequencies other than the normal 60 Hz electrical current. The additional frequencies then radiate into your living environment. But, because of the way smart meters send information back to utility companies, they greatly increase the dirty electricity in homes. Dirty electricity has been known to cause headaches, fatigue, heart problems, and chronic health conditions. Less important than the others, most utility customers end up paying more after smart meters are installed. In California, the information of smart metered homes has already been sold to businesses eager to learn more about their customers. You see, smart meters send information back to the utility company about which devices you use when. And that isn’t limited to California. Though a Seventh Circuit Court has called this a breach of the Fourth Amendment, utility companies are selling private data to businesses left and right. What’s more, law enforcement can get their hands on this data to convict alleged suspects. The point of smart meters is not to get rid of the meter readers, as the company saves nothing by firing meter readers. The point of smart meters is to manage and control utility use, to charge more during peak hours, and to be able to shut off utilities from afar. This is in no way for the good of the people. If you have a smart meter, call your utility company and have it removed. Give them a specified date and ask them to install an analog meter, no other kind. Also send them a letter to your district office to have a paper trail. If smart meters are coming to your area, refuse installation and send them a letter to confirm. Put up a sticker or sign next to your meter just in case someone tries to install. If you rent and cannot remove the meter or move, purchase a blocker, and an EMF reader if you can, to block the EMFs. Move any bedrooms away from the meter. Inform your community about smart meters by holding a conference, passing out brochures, and talking to your neighbors. To block dirty electricity from appliances, circuit breakers, outlets and wires, there are a number of filters you can buy for your outlets, as well as orgonite. I have an orgonote blocker from this etsy store on my WiFi router (which I turn off at night) and on my cell phone. Contact your legislators about the dangers of smart meters and to stop 2022 mandated smart meters. Look into solar panels or rented solar panels for your home. Grab Overpowered, a book by Dr. Martin Blank explaining the issue further. Do you have a smart meter? 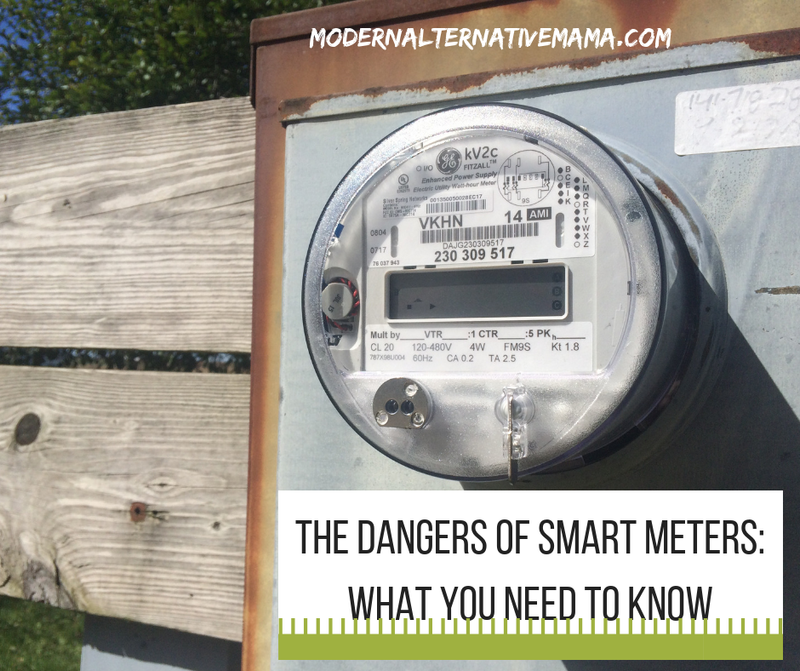 Are you concerned about how a smart meter might affect your family? Great article! I was offered a smart meter and refused. The radiation, safety, privacy issues and the higher usage(because the meter is flawed or maybe even programmed to register more)is what turned me off. I had no idea there is a EMF blocker on the market. Definitely something I need to put on my to-do list.